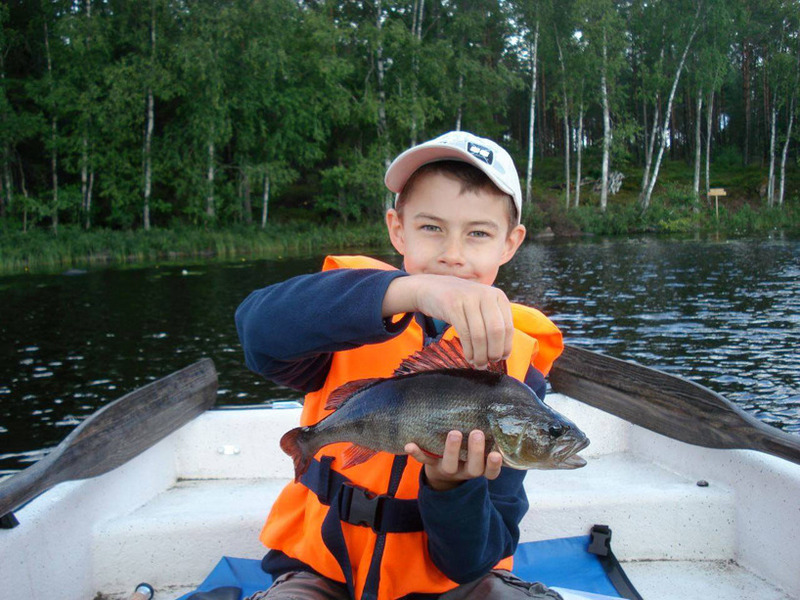 Ödevata Fish Camp welcomes the youngest fishermen who want to take their first steps and learn the tricks of fishing! 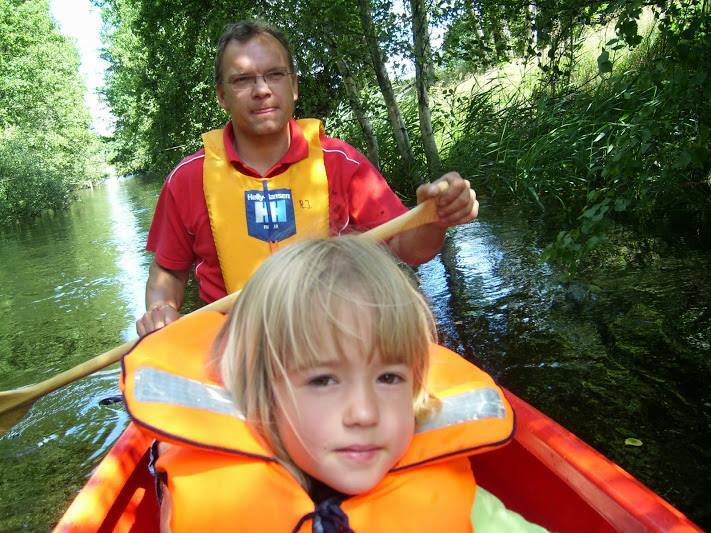 Since 2007, our camping is a place for adventures in the nature and thus, a perfect family friendly destination. 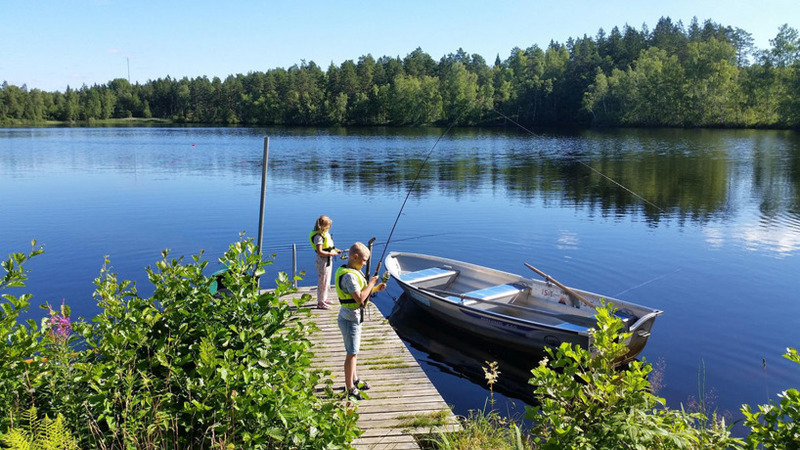 Are you on a journey through Småland, Sweden or spending your holiday here? 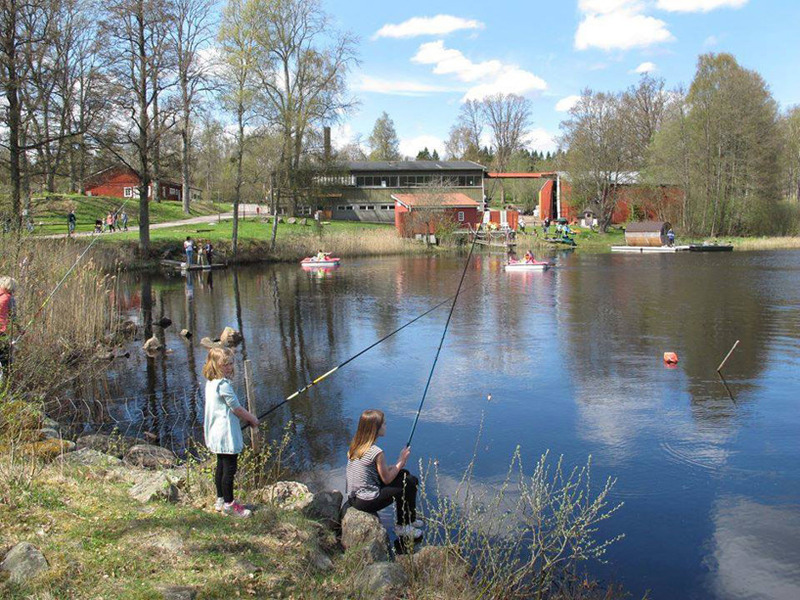 We're glad to provide for an exciting angling day at Ödevata! With several different lakes we make sure you find a fitting favorite. 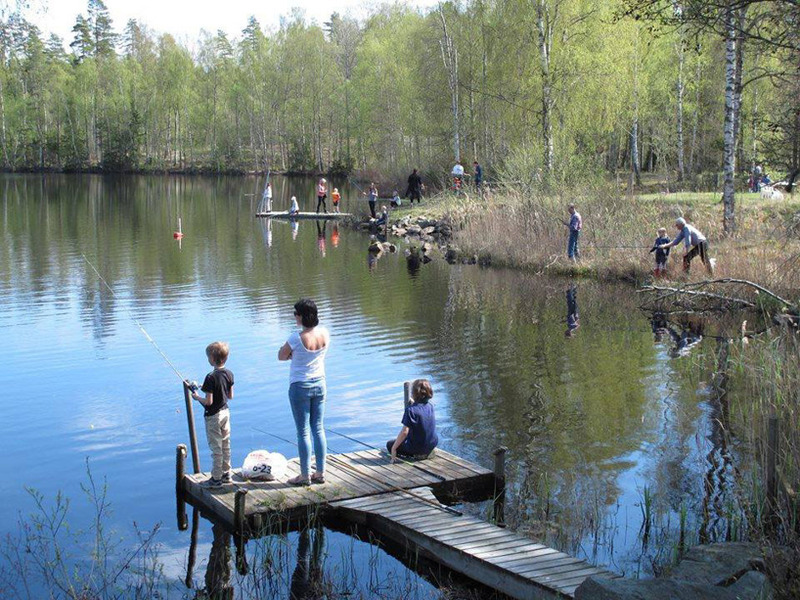 Directly at our frontdoor, there is our "house-lake" Ödevaten. It has stable platforms and landings, so you can safely fish from land. 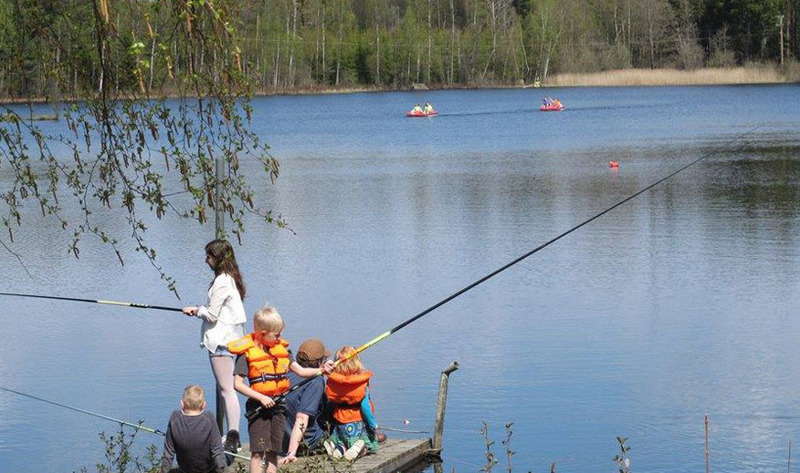 Since Ödevaten has lots of coves and small peninsulas, you and your family can spend a whole day by the lake in a calm and quiet environment. You want to discover more of this enchanted landscape? Just come and rent a boat with or without an electric motor and a life-jacket for you and your childrens' safety. Which lake will be your next discovery? Whatever place you choose it'll bring you many new impressions and memories. 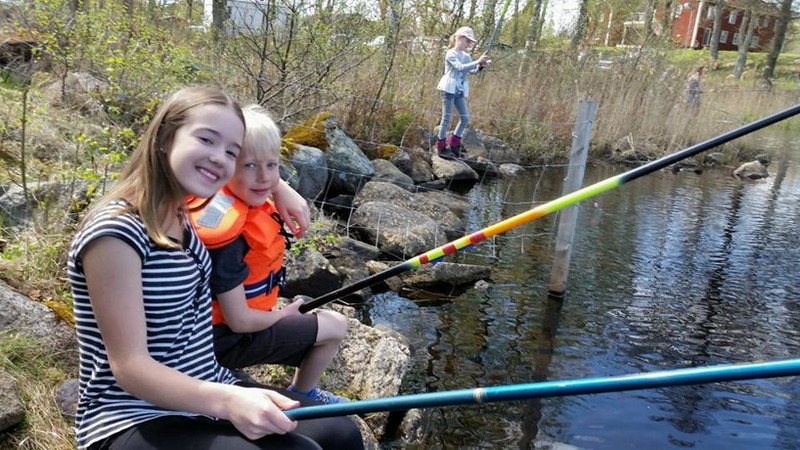 Because fishing is so much more than just that: you spend precious time together and try out a fascinating hobby that is the stuff for many stories to tell. FREE - Welcome to Ödevata on Ascension Day! 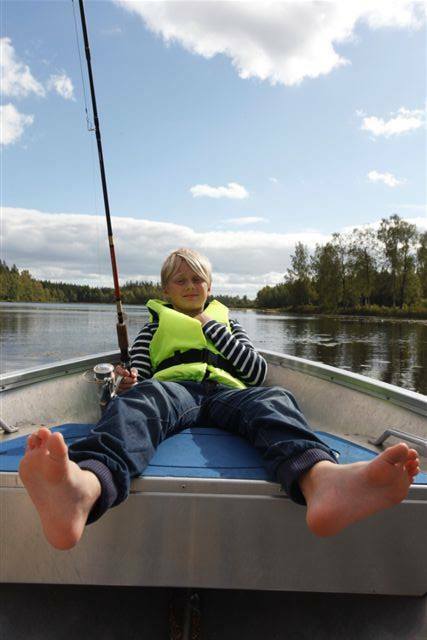 Each year we celebrate the first Angling-Day of the season and offer fishing, equipment and boats for free! Hur har vi kunnat missa denna pärla? Prisvärt, får hyra båt och elmotor en hel dag (till midnatt) mycket prisvärt! En vacker sjö, med näckrosor och näckrosblad... Yngsta sonen somnade i famnen mitt ute på sjön :) efter att ha fått en egen abborre på kroken! Karin Norling, Augusti 2016, reste med familjen.